An international conference for building of Asian presenters' network that is responsive to the world and efficiency and activation of situation analysis and information exchange that are indispensable for contemporary performing arts producing. Following the context of IETM@TPAM in 2008, with participation of presenters who have been active in Asian countries and regions, this conference discusses such topics as how the meaning of the existence of matured Western networks should be understood, how the notion of "presenter" has been acknowledged in Asia, and how the meaning of "contemporariness" differ according to regions and societies, aiming at building of network that should contribute to enhancement of possibility and improvement in quality of performing arts exchange and cooperative work. Divided into three 90-minute sections in accordance with panelists' geographical backgrounds and main fields of work, the following topics are discussed. - Confirmation of the basic concept of "network"
Based on the outcome of previous discussions, a plan for the network's organizational form, method of management, principles of activities is discussed by all the panelists and participants. Born in Sleman, Yogyakarta. He is one of Teater Garasi's founders and has become its Executive Director. He has been handling most of the Teater Garasi's productions. As arts manager, he is involved in several dance and music performance productions in Indonesia. He has become a participant and speaker in some art management discussions in Indonesia as well. In March 2008, he became one of the participants in The International Arts Management Fellows Mentoring Program at John F. Kennedy Center, Washington. Kyu Choi is deputy artistic director of the Chuncheon International Mime Festival, an annual performing arts festival for contemporary mime, physical and visual theatre, street theatre, and site-specific performance. He works as a facilitator as well as project director of the Moving Space Project which is an artist residency program in Korea for hybrid performance arts. In addition, Kyu directs AsiaNow, a production company whose mission is to support and produce new Asian work in contemporary physical, visual and site-specific theatre, as well as contemporary dance. He is also a lecturer at the Korea National University of the Arts, teaching courses on domestic and international theatre producing, as well as festival management. Tang Fu Kuen developed heritage and arts programs for Southeast Asia at the Bangkok-based inter-governmental agency, SEAMEO-SPAFA. One of his projects was co-organizing the first IETM meeting in Singapore in 2004. He has worked　as a dramaturg, critic, and festival organizer, promoting contemporary dance and performance between Asia and Europe. He read media and cultural theory at University of London, literature and theatre at National University of Singapore. He is recently appointed to a curator of the Singapore Pavilion for the Venice Biennale 2009. Amna Kusumo has a long career in the performing arts as independent arts manager and producer of cultural programs. She has produced and toured traditional and contemporary Indonesian performances in Indonesia as well as Asia, Australia, the US, Europe and South America. As the first generation of arts administrator in Indonesia, she has served as consultant and speaker on numerous cultural projects and international conferences. In 1999, together with three cultural activists, she founded Kelola, a national non-profit organization which promotes Indonesian art, through providing learning opportunities, access to funding and information. Kelola works in collaboration with organizations in and out of the country to enhance the capacity and facilitate cultural exchange in Indonesia. He majored in mass communication at the Korea University and has worked as general director of the Seoul Fringe Festival (1998-2005), program director of the performing arts for the Gwangju Bienalle (2004), committee member of the multidisciplinary arts at the Arts Council Korea (2006), and president of the Korea Arts Management Service (2006-2008). Among his researches are "Cultural Partnership Initiative" (2005) and "Social Security for the Artists in Korea" (2007). 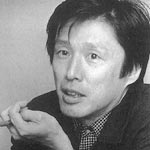 Producer of Black Tent Theatre from 1980 to 1996 managing the company's tours across Japan. Theatre critic since 1988. Took part in the planning of Setagaya Public Theatre since 1989, and has led the theatre's academic projects since its opening in 1997. He has also planned theatrical creations, workshops, lectures, publications and many collaborative projects with Asian and European directors and choreographers. He is the head of the performing arts department of the Cultural Center of the Philippines. He oversees the programming of the dance, music and theatre seasons of the Center and its resident companies. He has also curated a number of national and international festivals. An accomplished stage director and playwright, his works have been seen in major houses in Manila, San Francisco, Chicago and New York. He holds a master's degree in performance studies from New York University and has taught at universities in and outside Philippines. He served as artistic director of the PETA Kalinangan Ensemble and as associate artistic director of the Tanghalang Pilipino (National Theatre), and spearheaded the founding of Filipino-American theatre companies in the U.S. He has twice been the recipient of the Rockefeller residency in Bellagio, Italy. After working as the Head of Arts of British Council Indonesia, she has broadly been working in the field of dance such as curation of Asia-Europe Dance Forum and research on contemporary dance granted by Asian Scholarship Foundation (2003-2004). She devised dance programmes for the Jakarta Arts Council (2006-2008), and has convened an international conference, titled Contemporary Dance in Asia: Mapping Out A Discourse in 2008 with the support of Southeast Asian Regional Exchange Programme (SEASREP). She moved to London recently to complete her PhD in dance at Roehampton University, whilst remains working both as freelance arts manager and writer. She was a dancer and manager of butoh company Byakkosha from 1980 to 1994, and experienced activities of DTW and Movement Research in New York in 1996. Since she took part in the establishment preparation office of JCDN in 1998, she has been planning JCDN's own projects and organizing coordination projects. She started researches on building of dance network in Asia and Japan as a senior fellow of the Nippon Foundation API Fellowships in 2005, and since then she has been actively organizing dance projects toward Asia such as an Asian four-country tour of "We're Gonna Go Dancing!!" in 2007 and a four-city tour in Indonesia in 2008. Her recent production is "DANCE x MUSIC! vol.3" of JCDN Creation Series and its reinterpretation as a video piece. He studied at Thammasat University and ?cole international de th? ?tre Jacques Lecoq, and is the pioneer of independent theatre in Thailand who started running a theater space in a town building: 8×8 Corner is a 30-40 seat theater, and it has also been inspiring other theatre makers to start their own productions. In 2007, he wrote and directed a play about Yasukuni and worked with Japanese actors in Thailand. He is also a core member of Bangkok Theatre Network, artistic director of Bangkok Theatre Festival (BTF) 2006, and a guest lecturer for theatre and drama subjects in various universities in Thailand. June is a biologist from Imperial College who was previously involved in toxic waste management and is currently working on renewable energy projects. She has been involved with the performing arts collective, Five Arts Centre since 1997. The collective consists of 14 arts activists and practitioners interested in creating experimental work that examines contemporary issues, as well as nurturing the next generation of arts practitioners. June has stage-managed theatre and site-specific performances, and in the last two years started to produce. This year, as Five Arts turns 25, June is examining the history and organization of the collective through a series of external projects with non Five Arts members. Wen Hui, choreographer/dancer, graduated from the Beijing Dance Academy in 1989. Since that time, she has been working in contemporary dance theater. In 1997 she was awarded a grant from the Asian Cultural Council (ACC) and traveled to New York to research and study dance. In 1994 Wen Hui founded an independent company "Living Dance Studio" together with documentary filmmaker Wu Wenguang and she has choreographed and directed all performances of the group. She also featured herself in them as a performer. In 2005 she became artistic director of the Crossing Festival, Beijing's first festival for contemporary dance and physical theatre. Zhao Chuan and his fellow friends founded Grass Stage in Shanghai in 2005. Grass Stage is dedicated to the development of non-governmental theatre in China stimulating the energy of non-professional theatre people. His theatre works have been performed in China, Hong Kong, Taiwan, Korea and Japan. He also writes reviews for the press abroad, and has been awarded with several international literature awards, for example in Taiwan. He published novels, art reviews, and essays and created such theatre works as "Lu Xun 2008", "Squat," "The Madman Story," "38 Parallel Still Play," and "The Face of the Toilet." Director of TPAM since 2005. She coordinated the first meeting of IETM in Japan and directed International Showcase in 2008. She started "Postmainstream Performing Arts Festival" (PPAF) in 2003, and has been directing international programs of the festival, introducing such companies as PME and Forced Entertainment. As a producer, she has been producing projects such as Compagnie Marie Chouinard's Japan tours in 2005 and 2009. Chief coordinator of this Performing Arts Presenters' Network Conference.